It’s been too long since I posted, but I’m busy on my big writing project. Suffice it to say that since Ann and I came back from vacation, we’ve had a couple nail-biting weeks with South, and continued burgeoning success with North. 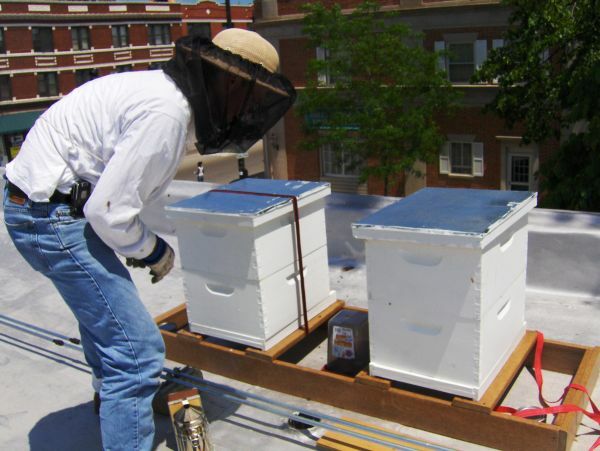 I checked the hives quickly the week of July 27 and on Aug. 2. At first, it looked like our new queen was starting to lay, then it looked like she might not be. Last week, after an Aug. 8 check turned up little brood, we added a frame of brood and eggs to South from North, which has consistently had 12 to 16 frames of brood and eggs in recent weeks. I was worried in case QE II might not be getting accepted–or even worse, if I might have squashed her accidentally in one of my quick checks. But last Friday, everything was good in South. We saw some capped brood, some developing brood, and a couple frames of newly laid eggs. Altogether, about four frames of developing bees. South still looks like they most likely will not give us honey this year, but they’re doing well again, thank heavens. And they have plenty of stored honey and pollen. And North looks like they may give up two full supers, not just one! 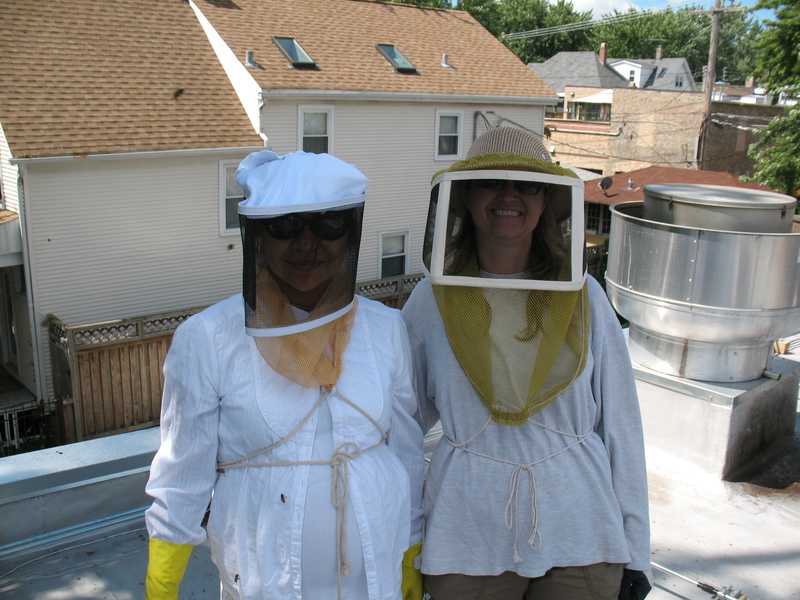 We’ve also had more visitors, and questions from other people about visiting, including a visit for a full check Aug. 8 by a woman named Claudia who used to help her family keep bees when she was a young girl. Quite heartwarming.